Spa business is booming around the world. According to a report by the global Wellness Institute, the spa industry is worth a whopping $99 billion today and it is all set to grow as more people want to relax and rejuvenate their mind and body. The report further shows that since 2013, the spa industry added more than 16,000 spas each year and employed upwards of 230,000 workers. The average annual revenue is around $3.5 billion. As more people continue to live a stressful life, they need a break from their routine and work to give their mind and body some well-needed rest. All this means, this is the best time to start a spa. 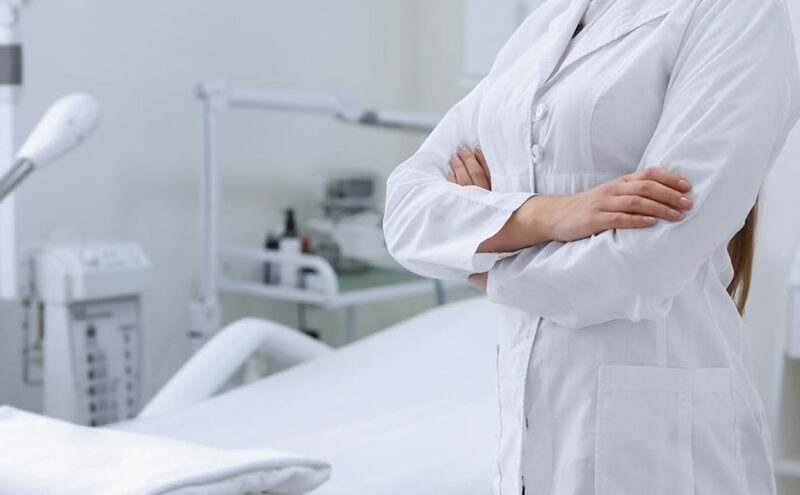 Let’s look at how you can go about opening a medical spa that can not only generate food revenue for you, but also benefit millions of people who are grappling with different diseases and conditions. How to decide on a great name? Deciding the name is the probably the first and the biggest decision that you’ll make because well, name is everything. Should not be overlooked quickly. Leverage the popularity of your town or city. Think of Aspen. Well, it shouldn’t be. Yet, it is an important decision. The wrong name could make you explain the meaning of your business to probably every other person you meet! And it won’t help your business either. So, take some time to decide on the name. Brainstorm with your friends, family members and even prospective clients of your business. Get their opinions and suggestions and accordingly, choose a name. Ideally, come up with a long list of names and short-list them to about three to five names. Say each name aloud and hear how it sounds. Based on this, decide the best name. How to Create a Medical Spa Business Logo? Once you’ve decided the name, the next step is to create a logo for your business. Look good on different media such as websites, glass panels and paper letterheads. The good news here is there are many professional companies that specialize in designing logos for businesses. You can tap into their experience and expertise to get a great-looking logo for your business. How to create a Med Spa Business Plan? Now that you have a name and a logo taken care, the next step is to lay out down the aspects needed to start your med spa business. The best way to do that is to have a clear business plan that lays down every aspect of the working of your business. When you put it down on paper, it will give you an organized feel and you give you a plan of action. Here are some things that you need to put down in your business plan. Your objective – what do you plan to achieve with this med spa. A specific vision, so this can be used for all your future decisions, especially when there is a conflict. An estimate of the number of employees and their skill sets. Partnership with medical professionals, and the terms that you’re willing to offer. When you have all these aspects on paper, you can start working on making them a reality. This document, in many ways, is the blueprint of your business. 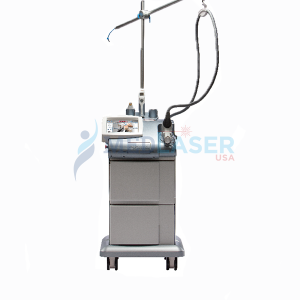 How to choose the best Medical Spa Aesthetic Laser Equipment? Next, you need the right medical spa aesthetic laser equipment to make your med spa a truly world-class service center. To choose the right equipment, here are some considerations to keep in mind. Go for an evidence-based approach, which means, the equipment should be scientifically tested and its effects should be proved. Do a thorough research and talk to different manufacturers or distributors to get an idea of the features that come in each product. Compare them and choose the one that best fits your needs. 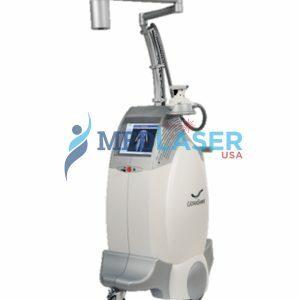 After all these considerations, choose the right equipment and MedLaser USA can help you appropriately address all your needs. 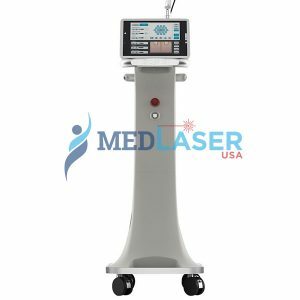 MedLaser USA offers premium products at affordable prices and can determine what is the best type of aesthetic laser for your business. How to choose a good Medical Spa business location? The location you choose for your business could determine its success and failure. So, a lot of consideration should go into it. The location should have a good drive-by traffic. Ideally, it should have ample parking space, so people do not have to worry about parking when they come to your place. Have a prominent and attractive signage that will make people stop by and have a closer look. There should be other businesses around yours, so you can benefit from their footfall as well. Look for a minimum of 1500 to 2000 sq ft area, preferably in a mall that attracts crowds. Such a location would be ideal to attract crowd without spending too much on marketing. A digital presence has become a must for every business today. To stand out among your competitors, you need a engaging and attractive website that ahs the same look and feel across all devices and operating systems. You can choose to hire a team that will build it for you. But, this could prove to be an expensive bet as you’ll have to pay them salary and benefits. This may not be an ideal choice, considering that you’re just starting off. A better way is to find a professional website building company that will take care of design, development and content for you. But, be in touch with them and discuss your ideas, so that together you can build a great-looking med spa website. Social media is an important marketing channel that can help you connect with your customers at a personal level. In fact, using the social media to engage with your customers has become a way of life for businesses and most customers expect that as well. Let’s briefly see how you can tap into these different powerful media to build your business. More than a billion people have a Facebook account and this goes to show how powerful it is. So, start by setting up an account and create a page for your business. Put up images and videos often, so visitors know what you do. Facebook marketing is a full-time job by itself, so appoint someone to take care of it. You can even have one social media manager for all the different social media sites. Develop a personality for your page, invite everyone and start creating good quality content. Even consider using a mix of organic and paid advertisements for better results. Create a profile on instagram and put on your creative cap. Come up with catchy videos and images that talk about med spa, but also gives related information about the med spa in general, so it is useful for those who see your page. Post often and consistently, so your viewers would be engaged. To start off on Twitter, choose an appropriate handle and start tweeting. As with Instagram, keep the tweets short and informative. Post often and be consistent with your postings. Above everything, be a good listener because your followers’ tweets can give you a ton of information about who they are and what they expect from you. Cater to their needs, and you’ll soon have a big base. FourSquare is a recommendation engine similar to Yelp. As a first step, add your business name to the site and claim your listing. Verify your listing by giving your phone number. You will get a call from the company to verify. Finally, enter your credit card or choose the postal verification option to complete the process. That’s it. people can now view your business and the services you offer. Pinterest has deep penetration among the younger crowd, who could be a valuable customer base for you. Open a business account and start creating boards and pins. A pin is an image or video whereas a board is where you can “pin” them, which means your board can have millions of images. It’s really that easy and effective. LinkedIn company pages are viewed by millions of people, and it could be a great way to attract talent. It gives customers an idea of who you are and plays a big role in brand awareness. As with the other sites, start with a business account and start posting great content to drive traffic to your page. 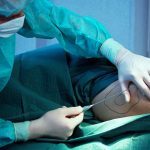 How to create good medical spa social media content? One of the key aspects of sustainability in social media is content. You have to come up with lots of content that are unique and informative to readers. Also, you need to use different media such as images, videos and text to attract readers. In this world of intense competition, great content is what will help you stay distinct on social media. To do that, have a dedicated team for creating, posting and handling queries on social media. Though it may cost you some money, it will be worthwhile when more customers start coming in. If you think that might eat into your budget or if you think that is a part of your future plan, look for proven social media marketing companies that will give you an initial start on social media. Also, you can take a mixed approach where you outsource the content and post it in-house. If that’s the case, look for companies that associate themselves with good content creators, so you’ll have top notch content for your social media all the time. How to effectively advertise for your Medical Spa Business? To effectively advertise your business, have a clear strategy in place. Here are some tips that can help you achieve this goal. Tap into different media channels. In fact, use as many media channels as you can to reach out to different audiences. Your pages, and through it your brand, should be accessible, inviting and high-end to bring in the best customers. Spend good time and effort on your website as that’s the key part of your online advertising. Constantly engage with your customers across different social media channels. Integrate traditional marketing into your strategy as well. Consider having a good mix of the two to attract different audiences. Offer discounts and coupons for your social media followers. Consider hiring professionals to get you started. How to gain an online presence for your Medical Spa? Having an online presence is the key aspect of every successful business today. So, here’s how you can have an online presence, so you can reach out to more customers across different demographics. Have a good looking website that is aesthetically appealing. Have a strong social media presence. Open an account on all the leading social media sites and actively engage your customers in all of it. Understand your target audience and create content that will appeal to them. Use a good mix of text, video, audio and images for your social media pages. Never stick to any single format. Mix up things to make your content attractive to users. Be available all through the day and night to respond to customer queries. 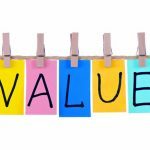 Explain what each process entails, the cost and benefits. Gather email addresses using ethical practices and send newsletters to these email addresses to help customers stay on top of your products and services. Think about creating an app that will tell your customers about your offers and will add loyalty points automatically after every visit. A combination of these strategies will help you to have a strong online presence. How to offer a Referral Program for your Med Spa? Referral programs are another important marketing strategy as it gives an opportunity for your customers to talk about your brand to other customers and also, helps spread word about your services. Start with your regular customers. Create a simple survey and ask them if they will be willing to refer your services to other contacts. At the end of the survey, offer discounts. For example, you can say that if your friend brought someone along, both of them would get a 10% discount on the final bill. That is sure to encourage your customer to bring another friend. Send referral coupons through email and encourage your customers to share word about your business, without being too pushy. Have a good app that will track the loyalty program, so your customers have some incentive to bring in their friends and relatives. How to offer Online Booking for your Med Spa? Offering an online booking for your med spa is easier than you think. Simply have a page on your website that lists the available time slots for every service, so your customers can pick the one that best suit their preference. This may need some expertise in software development, so you can either hire someone or work with a company to have this feature in place. Having an online booking greatly increases your reach as customers will find it convenient and you can also get more business. It is also a good idea to send a reminder to your customers about their appointments, say a day in advance. You can get the system to automatically do it for you with just a few lines of coding! 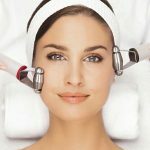 How to hire qualified staff for your Medical Spa? Employees are the lifeline of your business, so it is important you hire the best of talent that’s available. For this, you need to scour for them. There are two aspects involved in the hiring process. The first is finding the talent which is a good fit for your business and the other is ensuring that the shortlisted candidate accepts your job offer. For the latter, you need a good brand image and attractive salary. But there are also many others who would be willing to be a part of the growth story of a startup. To identify the right talent, you have to decide the positions, qualifications and what exactly are you looking for in terms of personality. Once you have an idea of the kind of person you want, it is time to start finding one. Advertise across many media, both online and traditional. LinkedIn could really help you to find the perfect candidate. Also, tap into your other social media accounts. In general, spread the word about your hiring as much as you can. Once the applications are in, start the interview process and make a good offer to the right candidate. How to Generate Revenue by marketing your Medical Spa? As soon as you have set up the place, start advertising and this should start bringing in customers. Here are some tips that can help you bring in customers during the first few months of your operations. Create a buzz about your business, even before it becomes operational. Leverage the power of social media and use a wide variety of media to create buzz about your business. Have a grand inauguration inviting all your contacts. Consider giving a flat 10% to 20% discount on the first week of operations. Continue marketing your services across different marketing channels. These suggestions are sure to get you started on generating revenue. How to Generate Revenue through Retail? Retail should be your main stream of revenue and here are some suggestions to make maximum revenue out of it. 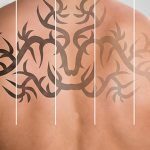 Create a distinct image for yourself and this should set you apart from competitors. Stay on top of your inventory, assets and revenue. How to Improve Processes for your Medical Spa? Working on your process and improving them is a constant process that should be geared to meet the dynamic business environment and preferences of your customer. Below are a few simple strategies that can help you get started. We live in a digital world, so embrace it. 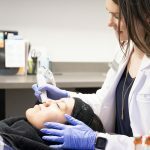 If you have plans or an interest starting a med spa, do it right away as this industry is set to see exponential growth. 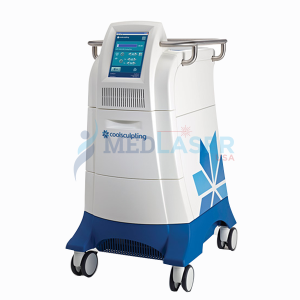 We hope the above discussion will help you get started, any questions or interest in acquiring aesthetic lasers or medical equipment please contact MedLaser USA.